With all that fish oil has to offer, doctors are increasingly recom-mending it to their patients. The only problem is that not all fish oil is created equal. And the differences extend far beyond the amount of DHA and EPA offered in a particular supplement. Almost all the fish oil used for supplements comes from fish caught off the coast of South America. This fish is then shipped to refining facilities in Norway and Canada where it is typically subjected to high tempera-tures or chemical solvents during processing. In fact, even though most fish oil supplements are touted as "natural," they are just as processed and refined as the vegetable oils you find in the supermarket. The quality of your fish oil supplement begins with the quality of the raw materials used. Generally speaking, fish that naturally contain at least 5 per-cent oil in their tissues have a higher level of omega-3 fatty acids. Although salmon is one of the very best sources of high-quality omega-3 EFAs, sar-dines and anchovies are often used instead. But to keep the raw-material costs down, most companies don't even use whole fish. Instead, they use the skin, bones, and other waste generated when these fish are processed. Getting the omega 3 rich oil out of these bits of fish can be accom-plished in several ways. First, the proteins in the fish are denatured which means that the proteins' chemical structure is changed by heating the fish to approximately 200 degrees for 30 minutes. The fish are then put into presses to extract the oil. Once the oil has been pulled out of the fish, it can be bleached, deodorized, or purified to make it more palatable. But these steps also have a downside. The simplest way to bleach fish oil is with silica or bleaching clays. Removing the fishy smell requires deodor-izing the fish by injecting extremely hot steam into the oil, which is con-tained in a partial vacuum. Finally, the fish oil is poured through activated charcoal to get rid of contaminants like mercury, PCBs, and dioxins. While none of these processes endanger human health, they destroy the phospholipids naturally present in fish oil. Why does this matter? Be-cause phospholipids compounds made of fatty acids and phosphoric acid are the vehicles that get the beneficial DHA and EPA from the fish oil into your cells. 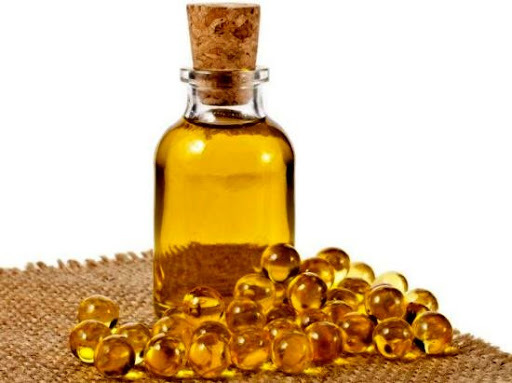 You might think that simply pressing, bleaching, deodorizing, and pu-rifying fish oil using the previously mentioned methods would be pretty much all that was required to make a fish oil product that could be bottled or put into capsules and sold to the public. But thanks to the wonders of chemistry, many companies take additional steps when they process their fish oil. One process, known as fractionation and concentration, not only purifies the fish oil, but it also increases the percentage of DHA and EPA the fish oil contains. The problem, however, is that this process requires the use of harsh chemical solvents that can leave a residue in the finished fish-oil product. Another process, cryoconcentration, may sound like something straight out of a show on the SciFi channel. But instead of cryogenically freezing a person in some futuristic story line, this method involves freezing the fish oil for 24 hours at more than minus 100 degrees. The result is freeze-dried, crystallized fish oil that has up to 2.5 times more DHA and EPA. But again, chemicals must be used to create these frozen fatty acid crystals. Chemicals are also used in another method: urea complexation. This process is quite similar to the way soap is made. An alkali sodium is combined with alcohol and used to separate sterols and fat-soluble vita-mins from the fish oil. The fatty acids are then dissolved in a mixture of alcohol and urea (an antiseptic) and cooled to concentrate the DHA and EPA content. But even though this method can boost levels to three times the original concentration, it can also leave a residue in the fish oil, which then must be re-treated to remove the chemicals. The fatty acids in fish oil can also be coaxed out and separated accord-ing to the length of their carbon chains. This is quite possibly the best way to squeeze out almost every bit of DHA and EPA from the oil. But it, too, is not without problems. This method, which uses a process called chromatography, relies on a solvent-water mixture that leaves traces of the solvent in the concentrated nutrients. Of course, chemicals aren't the only way to separate the fatty acids. Mo-lecular distillation heats the oil to about 480 degrees in a low-pressure vacuum for up to six hours so that the condensed vapors can be captured. Under these conditions, however, the DHA and EPA aren't very well pro-tected against oxidation, and harmful trans fats can form. In 2001, the French government threw out a challenge to its research-ers: find additional benefits that come from using the country's marine resources. That government research project gave birth to a new manu-facturing process known as vectorization. This patented process uses en-zyme breakdown, rather than solvents or heat, to extract omega-3s from fish. And because cold water and natural enzymes are used instead of sol-vents, vectorization created the first truly natural omega-3 fish oil with no chemical residue clinging to the finished product. Plus, this method was the only way to process fish oil so that it retained the natural phospholip-ids and peptides that deliver DHA and EPA to the body's cells, especially those in the heart and brain. Another benefit to vectorization is that the molecular structure is left intact. DHA and EPA in marine oils are naturally located in the center of the triglycerol molecule, a position known in scientific circles as the sn-2 carbon position. Apparently, Mother Nature knew what she was doing, since DHA and EPA in this position are more stable and less prone to oxidation. They are also far better absorbed by the human body up to 50 times more absorbable. But when fish oil is processed using heat and chemical solvents, the DHA and EPA "shift" to the terminal, or end, posi-tions sn-1 and sn-3, making these fatty acids much less absorbable in the small intestine and much less bioavailable to our cells. And when these conventionally processed fish oil supplements are less absorbable, significantly more have to be taken to have any impact on your health. Not only are the phospholipids left intact, but fatty fish that have been vectorized also have hydrolyzed peptides and amino acids, making it a whole-food omega-3 DHA/EPA complex. While most fish oil supplements are made from sardines and anchovies, they don't necessarily offer the highest levels of omega-3s. As a rule, the fattier the fish, the more omega-3 fatty acids it offers and Atlantic salm-on fits the bill perfectly. On average, just 3.5 ounces of Atlantic salmon provides about 1.2 grams of omega-3 fatty acids. The salmon raised in the fjords of Norway and along the coasts of Scotland are maintained under strict supervision and, therefore, provide approximately 15 percent more omega-3s than salmon found strictly in the wild. Another problem with those little fish swimming off the coast of South America compared to Atlantic salmon is that the omega-3s in sardines and anchovies are not particularly accessible. But the DHA and EPA found in fresh salmon oil are naturally in the sn-2 position just the right spot on the carbon chain to make it more bioavailable, as well as more stable and less apt to turn rancid. Atlantic salmon also offers another bonus. It is rich in vitamin E and astaxanthin, the natural pigment that makes salmon pink. It is also a po-tent antioxidant. Combined, vitamin E and astaxanthin protect the fish oil from oxidation. I had followed the groundbreaking process of vectorization from its birth through the development of a revolutionary omega-3 supplement called Vectomega, exclusively distributed in the United States by EuroPharma Inc. Because it was a synergistic blend of naturally processed salmon oil, phos-pholipids, peptides, and antioxidants, I knew how beneficial this revolu-tionary new supplement would be for Americans. Plus, unlike other fish oil supplements available in the United States, Vectomega wasn't a gel cap filled with odorous fish oil. This is a great benefit, since most people I talk with have experienced unpleasant side effects like a fishy aftertaste, belching, and stomach upset after taking traditional fish oil supplements. Another problem with traditional fish oil supplements is the amount that must be taken to experience any benefit. But because of Vectomega's unique biomolecular profile, it is absorbed at a rate 50 times greater than conventional fish oils which means that considerably less needs to be taken to attain the same benefits. I truly believe that this new way of processing omega-3s is the biggest revo-lution ever seen in EFA supplements. Without supplements having all the drawbacks of traditional fish oil, I am convinced that the stage is set for Ameri-cans to finally reap the many benefits that omega-3 fatty acids have to offer.